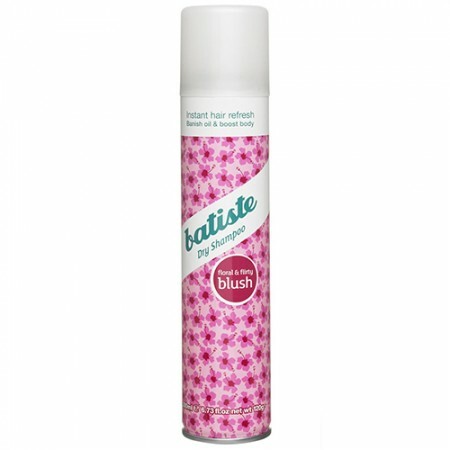 The essence of femininity, Batiste Blush is the floral, flirty way to turn heads, giving you hair that smells as good as it looks. Make everyday your runway with Batiste! This multi-award winning hair hero is Australia's #1 Dry Shampoo Brand and the perfect fix for great looking hair, even between washes. A few quick bursts instantly transforms your look. Your hair will look clean and fresh, with added body and texture, with no water required! It's the perfect way to extend your blow dry, free up time in the morning or give your hair a new lease on life whenever, wherever it needs it. Butane, Isobutane, Propane, Oryza Sativa (Rice) Starch,Cetrimonium Chloride,Talc, Silica, Alcohol Denat., Parfum (Fragrance),Limonene, Linalool, Distearyldimonium Chloride.